You are all set with your website and digital marketing strategies. The last thing to boom your success in online market is a Mobile App”. The most yearned app for all business types and sizes. Android Software Development is the basic requirement for all recent booming markets. Inqsys has the finest of the developers to reflect best of your business. They have in-depth knowledge for all business types and tend to keep the app updated. First of all, Android App Development requires a Software Development Kit(SDK), an Integrated Development Environment(IDE)such as Android Studio or Eclipse, a Java Software Development Kit(JDK) and also a virtual device to run test on. Software Development Kit– It enables developers to make apps for the Android based devices. SDK incorporates specimen projects with various development tools, an emulator and source codes. Integrated Development Kit– A Graphic User Interface designed to help a developer to build applications by providing similar user interfaces (UI) for related components and reduces the time taken to learn the language. Adobe Kuler– It is just an approach to alter the color of your website according to your choice. It also adds huge number of color themes via color palettes. Android Sketch Paper– Developing a sketch before helps understand UI/UX designs better. It also helps plan navigations and features visually. InVision– It helps in producing design workflow and rich interactive prototypes and also their collaboration. Marvel– It is termed as an Android App builder. It also aids in creating interactive prototypes. Not only this, it is free to use with no coding skills required. POP App- It is an app by Marvel which has same function of building apps. It also commences with you uploading hand drawn sketches and connecting them together onto your mobile. Finally, there is no visual restraint in this app as the prototypes are compatible with all devices. Android Studio- It provides editing of code, debugging, and testing tools all in a user-friendly drag-and-drop interface. It is not only supported by Google, but also by a great population of Android developers. Android Debug Bridge (ADB)- This works as a connection between Android devices and other computers used in developing Android Apps. By connecting the devices, you can modify things as per need. AVD Manager– Android Virtual Device is an emulator used to run Android Apps on a PC. It helps in testing the designs, responsiveness and performance on different devices. Eclipse– It is an officially preferred IDE. Eclipse enables to create Android Apps and other cross platform apps. Fabric– Fabric helps in building better mobile apps by offering them collection of kits to choose from. 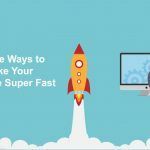 These include everything starting from Beta Testing to Marketing Tools. FlowUp– This allows you to keep track of the performance of the production apps. GameMaker Studio– This is essential for the beginners in Android Game Developers. It features in creating 2D games with a user friendly interface. Genymotion– This is another Android Game Developing emulator with pre-installed standard Android images and graphics. Hence, accessing these and developing games becomes easier. Gradle– This is one of the trendy development tools for making large scale applications. IntelliJ IDEA– It is designed for the ultimate programmers with extremely fast featuring development tools. Instabug– This widely used tool allows beta testers and user groups to share errors during a QA or a debugging process regarding apps. LeakCanary- This informs you about the memory leaks in the apps and can also rectofy it using built-in features. NimbleDroid– It checks the finished apps for any memory leaks, bugs, errors before published on Google Play. Almost all renowned app owners use this testing platform during QA or debugging processes. RAD Studio– Another IDE for cross platform app by enabling writing, compiling, packaging and deploying. Stetho- Facebook created an android debugging tool which allows access to Chrome Developer Tools. Source Tree- It is a free open source tool and also enables us to manage Git repositories via simple Git GUI. Changes can be made without actually writing a command. Unity 3D- Another game developing tool but with a 3D experience. The graphics and experience of the such developed are high end and extremely advanced. Unreal Engine- Unreal Engine is also a free, open source game developing tool. It doesn’t require an advanced coding knowledge and can be used to create interactive games. Visual Studio with Xamarin- Visual Studio when combined with Xamarin. This supports diverse programming languages to create all types of Android, IOS, and Windows Applications. Vysor– It is an emulator enables you to imitate an Android device to a computer for an easy control from keyboard. Do you know IOS based apps can take your business to next level? Around 45 million iPhones were sold in the year 2018 itself. So imagine the potential number of users for your business. Swiftic– An easy to navigate interface allowing to create an app. Swiftic also comes with ample features to make the apps user-friendly and appealing at the same time. XCode– Xcode lets you edit codes and create IOS based Apps. Xcode10 has a new Dark Mode on macOS Mojave. You can build with custom visualizations and data analysis. It is fast, efficient and professional source code editor. AppCode– It is another source code editor which takes care of the monotonous typing. It is efficient, reliable and productive. AppCode is compatible with almost all programming languages. Code Runner– This delivers an enduring IDE-level code completion for most of the programming languages. Code Runner enables editing in a professional level with many features to make is easier. IOS based application is developed to use on Apple’s IPhone devices. This operating system is not lenient unlike Android; it has many restrictions. Due to the constant check on every activity, its difficult to jailbreak through IOS. Our awesome IOS developers makes the app user-friendly and easily tested and also manageable. It is apt to opt for, coupled with flexible user interface and secured transactions. These Windows Apps work both on desktops and windows powered phones. With diverse mobile developing software, Windows is beneficial because of its enthusiast user-interface. Our amazing team of talented programmer put efforts to present you with an app suiting your business needs. Sencha Touch- Sencha Touch is a HTML5 product which designs, develops and deploys apps to mobile or desktop. This development suite allows to develop apps with ease and quite a less effort. The App Builder- It is one of the tool offering cross platform development of apps. There is no such necessity for high level coding or designing skills. XAML Spy- XAML Spy is important to every developer. This helps in monitoring events in apps running in XAML. Zip Apps– Windows Store App creator supported by Nokia and Microsoft. The templates and app resources makes it easy for the developer to build up an app hassle free. Similarly, your business can reach across all realms in a click of your hand. You can increase your sales effortlessly for your future. You can always sustain your old customers or users but what about new ones? The future outlook of business is all dependent how well and also how many users you attract. Since people are engaged on their phones almost all the time; it’s easier to hit new audience. You can easily ad links on various social sites to download the app or advertise via short videos. Thinking that you have small business and so don’t need a mobile app? Well, you are wrong. If you have a small business, it makes it even more imperative to advertise and promote. This will enable to attain plentiful consumers in short phase of moment. Inqsys Technology is ready to assist if you are eager to appoint a mobile app development company. We encompass a global presence and a striking profile that is enough to illustrate our capabilities. Due to our proficiency in nearly all the technologies, the development process is quite speedy to aid us in well-timed deliveries. We are well-versed with all the various operating systems. Therefore, we can discuss the suitable platform for your mobile app. We are at your service from app development, sustenance and repairs, redesigning and consultancy services. We have the knowledgeable Android or IOS developers experienced in- healthcare, entertainment, e-commerce, etc. Do you know you can take your business miles away from your physical location? Besides, increasing sales, it will develop brand awareness, its visibility and future prospects. You need not be baffled with the process and access of it. Mobile apps require less operational fuss. 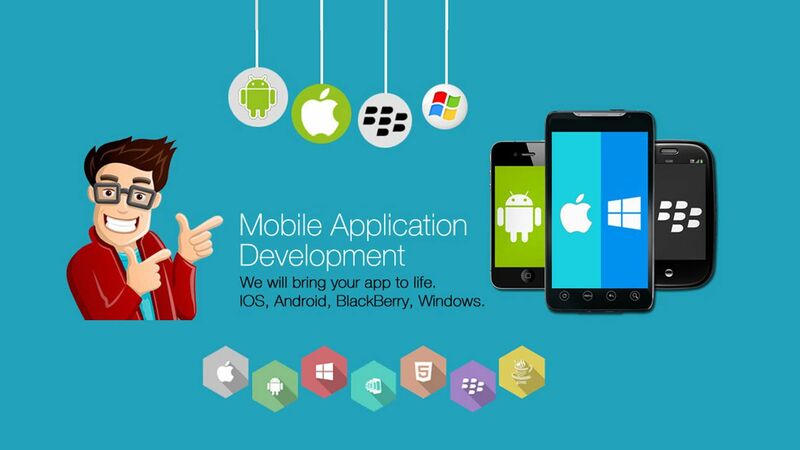 Furthermore, with appropriate features and highly functional uniqueness, mobile app can be the best approach for your business. Your business can always be amid the users and so you won’t ever lose potential consumers. You can handle all your orders, users’ data, offers via your device hassle free. Sure, you have a responsive website- no problem. But will the user always visit your website? Will you be able to reach them with different offers you proposing? Mobile app comes handy here. It ensures that you have access to the users a bit more personally. It’s cooperative in treating your users in a best possible manner and subsequently increase profits. Aren’t all these benefits enough? If not, talk to our skilled developers’ team for further convincing. You will not be disappointed by our services as we are just fair-developers striving to be ‘The best’. Connect with Inqsys to receive the ultimate a mobile app for business for all sizes. You won’t regret contacting us on our initial meet itself.